BellaMuse Best Seller - You Rock! One of our best sellers! The text "You Rock!" is paired with a vintage illustration of a crown. 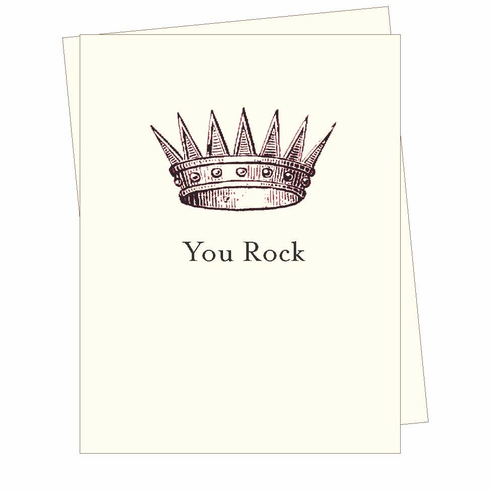 As a thank you or a congratulations or just to tell someone they're great- it's the perfect all purpose card to send when you want someone to feel good. Blank inside.